When a trained and certified financial advisor says you’re making a mistake with your finances, you will probably listen to him. But what if the one giving the terrible financial advice is Jesus? 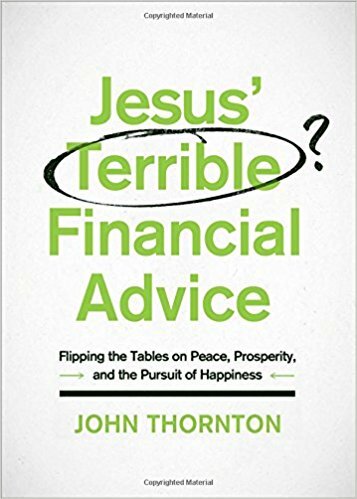 John Norton (a CPA with a Ph.D. in accounting) looks at the financial advice of Jesus in a whole new light in his book Jesus’ Terrible Financial Advice. I’ll be honest with you: this book is not at all what I expected. When I hear someone say that Jesus gave “bad financial advice,” I just assume it’s a tongue-in-cheek lead in to a discussion on tithing or giving to missions. But as the subtitle of the book hints, John Norton flips the table on every financial concept that you’ve ever heard taught by the world’s financial experts. If you’ve ever struggled with how a Christian is supposed to handle the wealth and possessions of this world, this book will come as a welcome insight into what Jesus really wants for His children: freedom to glorify God! I believe you will be as pleasantly surprised at this book as I was.